Two sizes are produced, the 500 series are 5.5” and the 600 series 7.63” in diameter, each in a variety of classical and modern designs. Please inquire about lead times. As each piece is individually cast by hand and fired in small quantities there may be slight variations from piece to piece. 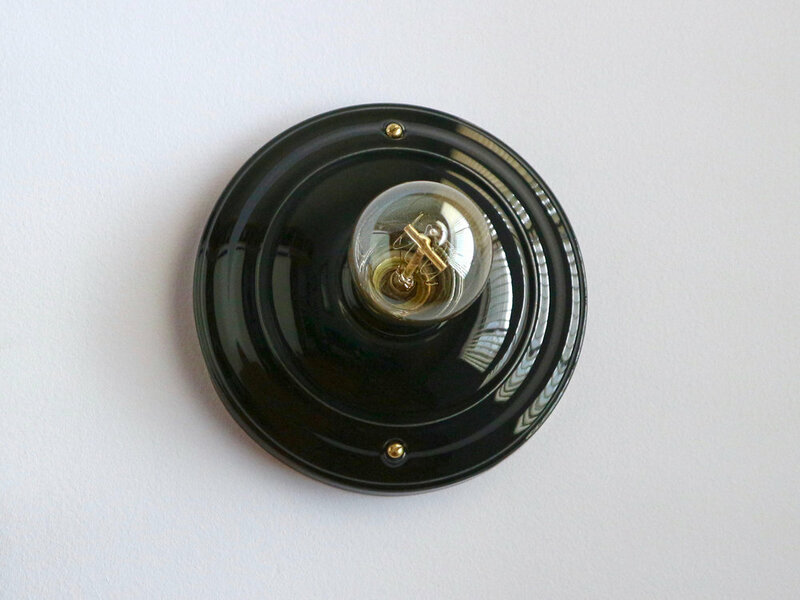 Other single bulb fixtures are in development, as are models with milk glass and clear globes. Porcelain rosettes, electrical switch plates and socket covers available with a corresponding glaze range are also in development.